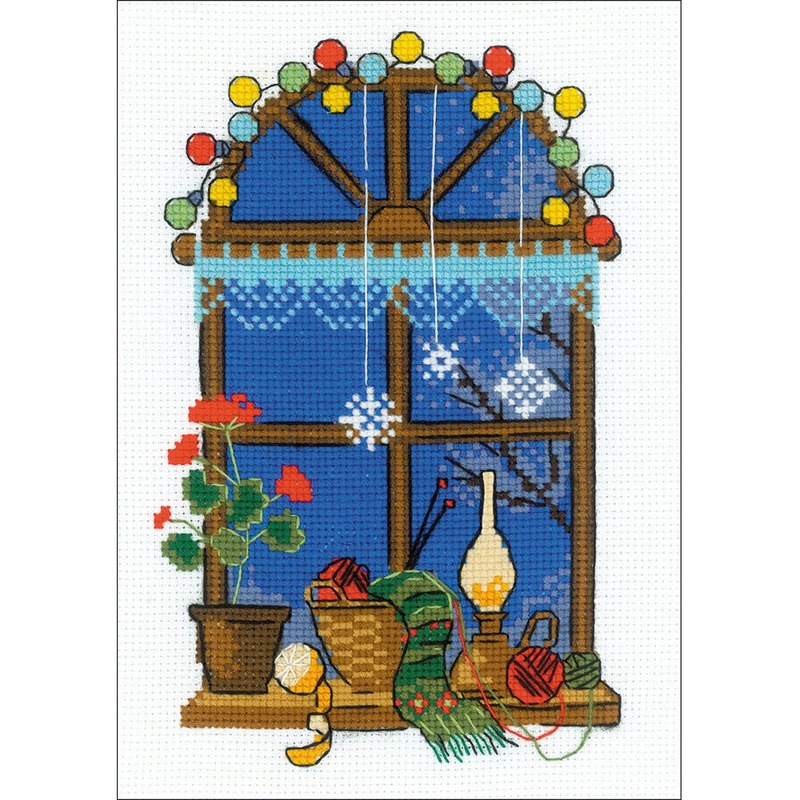 Riolis-Winter Window Counted Cross Stitch Kit. Express your love for arts and crafts with these beautiful cross stitch kits! Find a themed kit for any taste! This package contains one color chart 14 count Zweigart Aida fabric Safil wool and acrylic threads 11 assorted colors one needle and instructions. Finished Size: 6x8- 1/4 inches. Imported. Express your love for arts and crafts with these beautiful cross stitch kits! Find a themed kit for any taste!